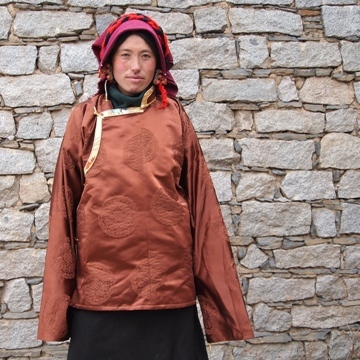 This dotong (jacket with side opening) was made in Lhagang town by a local tailor. 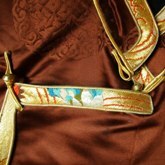 It is made of polyester brocade with cotton velvet lining. 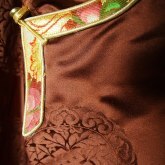 The collar is handmade of Indian silk.